Thanks to the authors who have generously given their permission for their work to be included on this website for use for educational purposes. The ELF stimuli can also be used with early elementary-age students as an exercise for them to discover the relative size of their listening bubble in quiet and noisy conditions. The Oticon version was produced subsequent to the Phonak version and has a clearer scoring methodology. The CHAPS asks 3-8 questions about a child’s auditory performance in 6 different listening conditions: Noise, Quiet, Ideal, Multiple Inputs, Auditory Memory Sequencing, and Auditory Attention Span. The results for each condition are scored as either normal or at-risk. Contact the author with questions. This test by Walter Smoski, PhD, Michael Brunt, PhD & Curtis Tannahill, PhD has been made available for use with the permission of Dr. Smoski (wsmoski@ilstu.edu). Developmental Index of Audition and Listening (DIAL). From: Goals and Expectations of the Hearing Aid Fitting. Trends in Amp, 4(2), (1999). 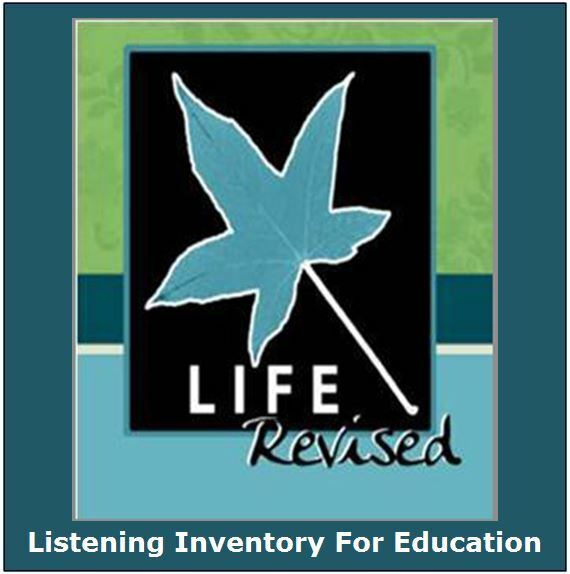 Listening Inventory For Education – Revised (LIFE-R) Efficacy Materials: this link brings you to the LIFE-R webpage including the LIFE-R Student Appraisal, LIFE-R Student Appraisal with Pictures and the Teacher LIFE-R. Beautifully redesigned, fillable and self-calculating versions of all 3 SIFTER forms enable emailing a form to a teacher, having her complete it, and sending it back to the managing teacher of the deaf/hard of hearing or educational audiologist. 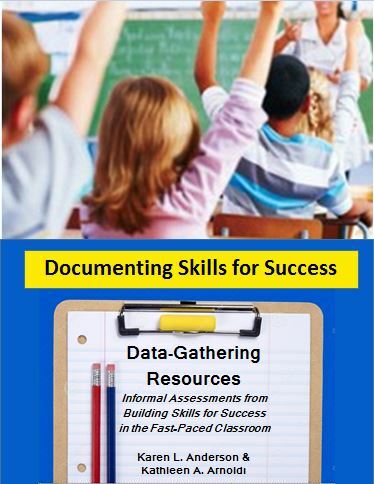 Redesigned, fillable forms are included in Documenting Skills for Success. Paper versions below are still available at no cost. Audiology Self-Advocacy Checklist-ELEMENTARY SCHOOL (ASAC-ES) Audiology Self-Advocacy Checklist-MIDDLE SCHOOL (ASAC-ES) Audiology Self-Advocacy Checklist-HIGH SCHOOL (ASAC-ES) These checklists contains skills that students should develop during elementary, middle and high school related to their hearing status. To complete the checklist, enter the date the topic is introduced and then track performance using the progress levels (1, 2, or 3). If the skill has not yet been introduced (NI) the item is included but does not receive a score. If the skill is not applicable for a student, note NA and eliminate that item in the overall scoring. Specific skills that are being addressed may also be recorded as objectives on the student’s IEP. Skills should be re-evaluated at least annually. Follow the scoring directions at the bottom to obtain an overall performance level. A mastery level of 90-100% indicates the student’s audiology self-advocacy skills are functioning at the proficient level. If proficiency is not reached when the student transitions to middle school, work should continue on the deficient skills. Checklist of Socio-Pragmatic Language Behaviors for Students with Sensory Impairment. This checklist was found on the internet authorless and I reformatted it to fit on one page. It includes many of the items from the Pragmatics Checklist in a manner more appropriate to school-age (K+) students. It is NOT normed or validated in any way but could be useful for planning or monitoring progress. If you developed this material please contact me so your name can be specified as author. 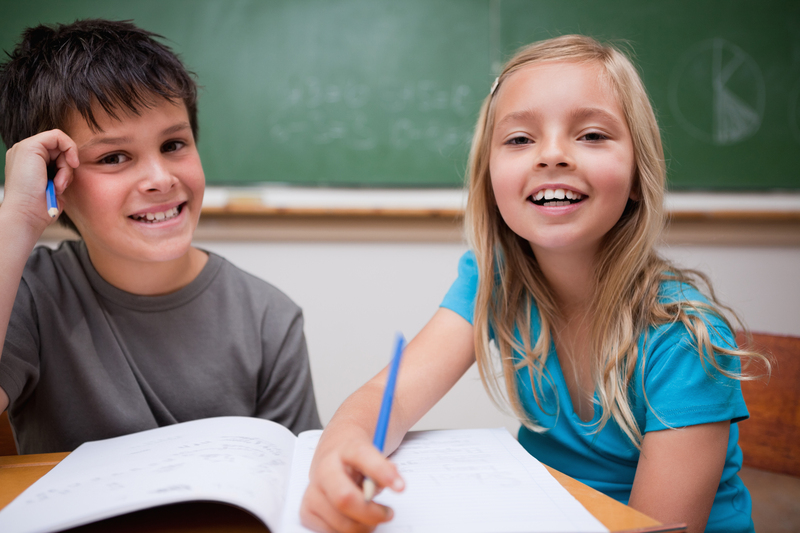 Childrens Peer Relationship Scale This scale is an elementary school survey that provides insights into the early elementary school student’s communication partners, socialization, and attitudes toward wearing hearing devices. It has been made available for use with the permission of Kris English, PhD. CHildren’s Peer Relationship Scale in French Minnesota Social Skills Checklist for Students who are Deaf-Hard of Hearing This Minnesota Social Skills Checklist is designed to guide for teachers of the deaf/hard of hearing in looking at skills needed in the areas of: social skills, pragmatics or language as it relates to social communication, friendship and self-esteem. Many learners who are deaf/hard of hearing need additional teaching in these areas. These types of skills are most often learned through incidental learning which students who are deaf/hard of hearing often miss due to their hearing loss. This ambitious checklist was developed by a variety of experienced contributors and was made available to professionals by the Minnesota Department of Education (refer to the MDE website for the available PowerPoint training on how to use the Social Skills Checklist). Minnesota Compensatory Skills Checklist This Checklist was developed collaboratively as a model for itinerant teachers to use with hard-of-hearing students; however, it can be adapted for use with any population with hearing loss. It was developed as a hierarchy of self-advocacy and compensatory skills specific to students with hearing loss from grades kindergarten through high school. It is not an evaluation but it can contribute to identifying student needs and monitoring progress. 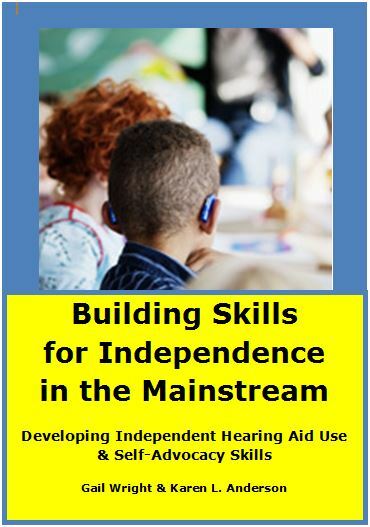 The following topics are included: understanding hearing loss, amplification management, resources and technology, communication strategies, and personal/interpersonal skills. This ambitious checklist was also developed by a variety of experienced contributors and was made available to professionals by the Minnesota Department of Education. Pragmatics Checklist fits on one page and can be completed individually by the parents or as part of an interview dialogue with the early interventionist. The majority (75%) of children will be able to use complex language (full expressions of more than 3 words) per the following: Age 3: 20 of 45 items; Age 4: 43 of 45 items; Age 5: 44 of 45 items; Age 6: 45 items. Therefore, at transition, a child should have mastered 20 of the items using complex language. By entry into kindergarten, all items can be expected using complex language. See the Social Communication – Pragmatics page for more information. SAC-A – Self Assessment of Communication-Adolescent A questionnaire that assists adolescents in identifying problems due to hearing loss. As responses are discussed with a hearing professional, the student may gain understanding in how hearing loss is effecting him/her and provide insights on how the problems may be better managed. This test has been made available for use with the permission of Judy Elkayam (judy8590@comcast.net) and Kris English. SOAC-A – Significant Other Assessment of Communication – Adolescent A questionnaire for friends of students with hearing loss to assist in identifying problems that the hearing loss may be causing. SOAC-A and SAC-A answers are compared in a discussion with the individual with hearing loss and his/her friend(s) to result in new ways that problems can be managed. This test has been made available for use with the permission of Judy Elkayam (judy8590@comcast.net) and Kris English. Contact the author(s) for any questions on the SAC-A or SOAC-A. 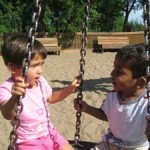 Social Skills Functional Assessment Checklists: Social Skills Checklist (PreK/Elementary) | Social Skills Checklist (Secondary) | The Social Attributes Checklist Children’s Loneliness and Social Dissatisfaction Scale is for children in grades 3-6. Normed on over 500 students, this scale is most useful in identifying students who feel socially rejected or lonely in school. Does this student have a poor self concept? 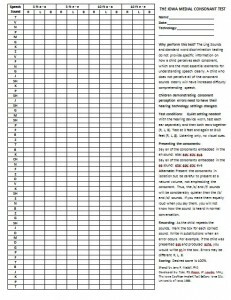 is a 15-item checklist to be completed by the classroom teacher or DHH teacher in discussion with the classroom teacher. All items are stated negatively, such as “Gives up easily.” Think About It Quiz is a checklist to assess self concept that was developed for use with adolescents and focuses on five areas or domains in which this population typically judges themselves against their peers: Athletic Competence, Conduct/Morality, Peer Acceptance, Physical Appearance, and Scholastic Competence. Easy to score, the Think About It Quiz can identify if a student has a negative self-concept in one or more of these domains. By intervening to improve adolescents’ self-concepts it is possible to influence the social, academic, and behavioral adjustment of adolescents at a critical time in their development. Placement and Readiness Checklists (PARC) for students who are deaf and hard of hearing help Individualized Education Program (IEP) teams make decisions about programming and placement for students who are deaf and hard of hearing. Four readiness checklists focus on essential skills that students require in order to actively and meaningfully participate in their education programs. The placement checklist helps IEP teams evaluate the accessibility and appropriateness of the general education setting to support students who are deaf and hard of hearing. PARC General Inclusion Checklist – A study in Iowa (2016) verified that the General Education Inclusion Readiness Checklist, one protocol from the PARC, is a reliable and valid tool for identifying the readiness skills of students who are deaf and hard of hearing. Students in grades K-7 were included. This reliability research compared student results on the PARC General Education Inclusion Checklist with the Iowa Assessments and Iowa’s Formative Assessment for Teachers (FAST). 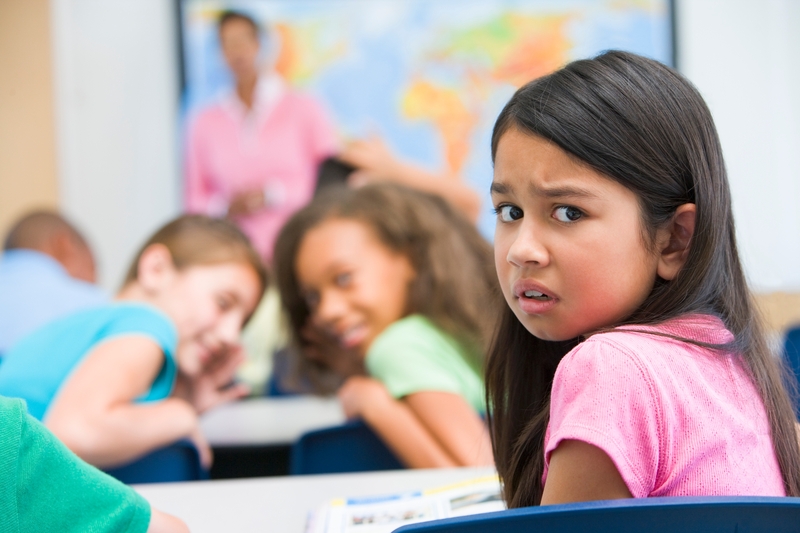 Mean ratings were significantly lower for students with hearing loss than their typically hearing peers. PARC checklists were developed for use in Colorado by a team lead by Cheryl DeConde Johnson permission has been provided for widespread use of the PARC Checklists.